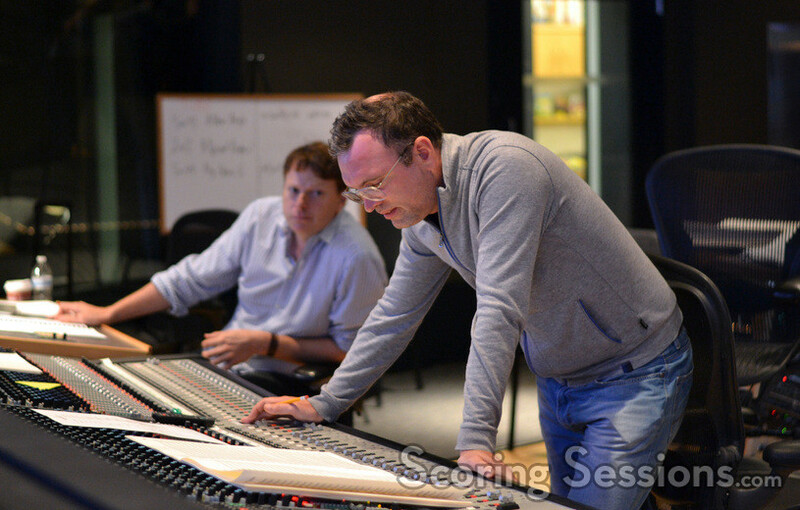 This summer, composer Henry Jackman recorded his score to the new Disney animated feature, Big Hero 6. 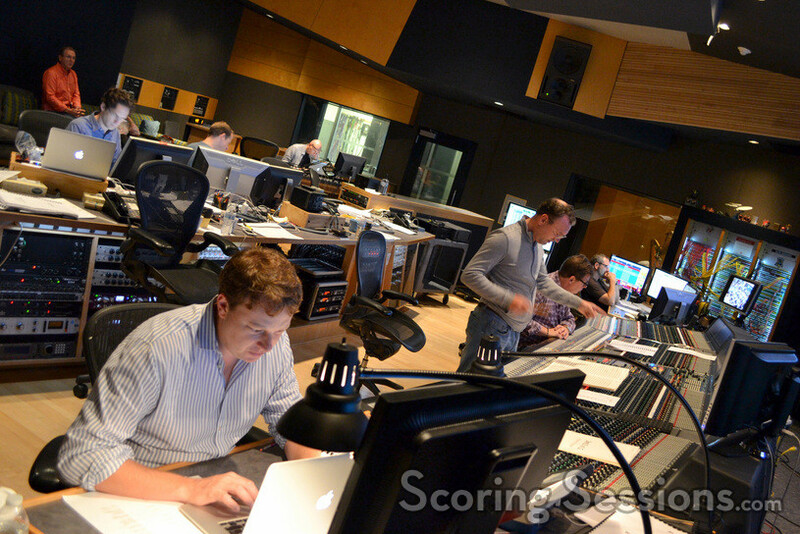 The film reunites Jackman with co-director Don Hall (Winnie the Pooh), and the score was recorded at the Newman Scoring Stage at 20th Century Fox. 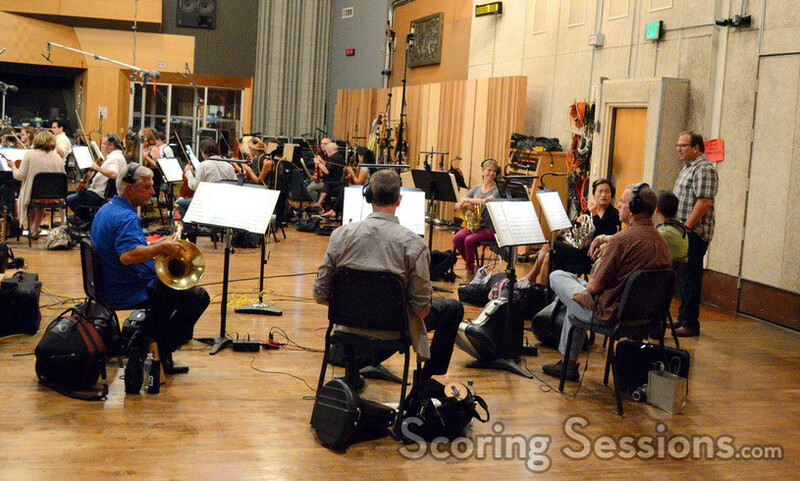 ScoringSessions.com is delighted to bring our readers photos from the scoring sessions! 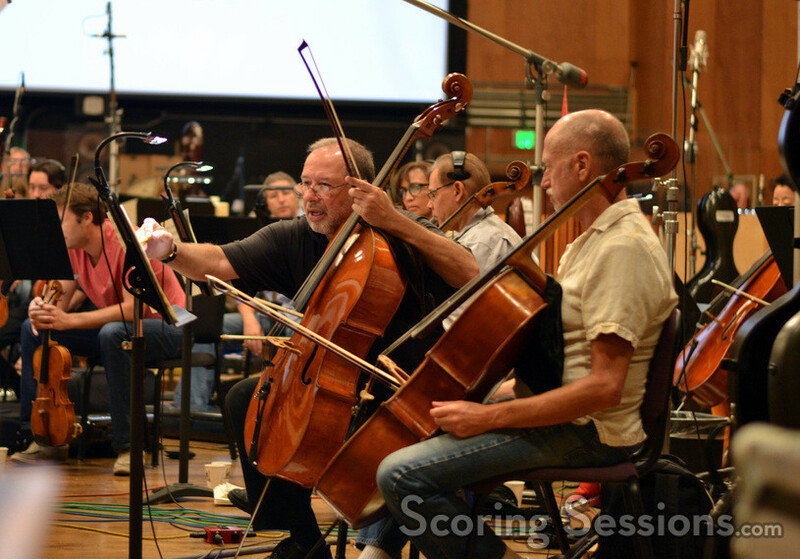 Conducted by Nick Glennie-Smith, the score for Big Hero 6was recorded with an 83-piece ensemble of the Hollywood Studio Symphony. 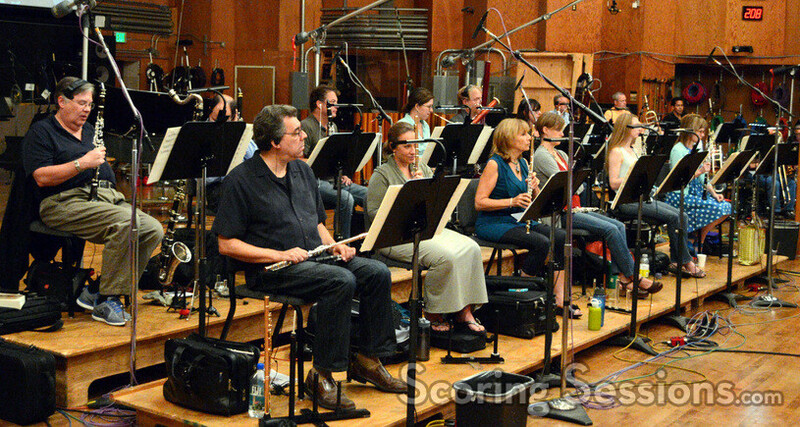 The music has numerous themes that are interwoven to create a score that is emotional and rather exciting during the larger action sequences. 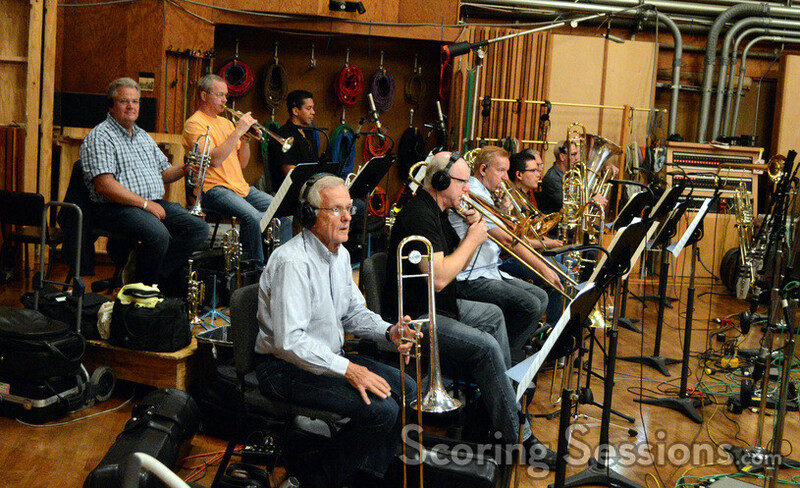 The French horns "in the round"
In the booth, Jackman was at the console along with scoring mixer Alan Meyerson and lead orchestrator Stephen Coleman. He was also supported by music editor Dan Pinder, assistant music editor Daniel Waldman, and ProTools recordist Kevin Globerman. 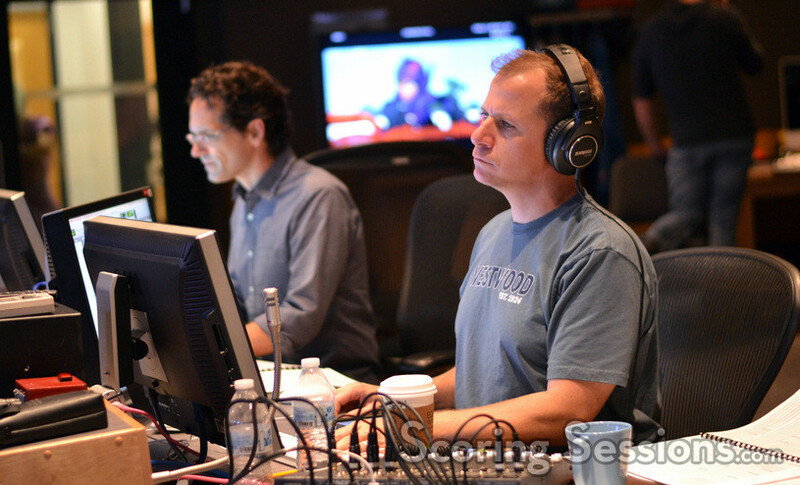 Directors Don Hall and Chris Williams were also on hand to watch the session take place. Big Hero 6 is now playing in theaters, and a soundtrack album is coming from Walt Disney Records on November 24, 2014.